If you were Ted Danson at the end of the 11-year run of Cheers in 1993, you might have just wanted to find a beach and put your feet up for awhile. But Danson could never look out at the ocean without worrying about its future. In the past 25 years, Danson has become one of the world’s most influential oceanic environmental activists. His marine advocacy began in the mid-1980s, when he teamed with environmental lawyer Robert Sulnick to defeat Occidental Petroleum’s bid to drill 60 oil wells near Will Rogers State Beach. 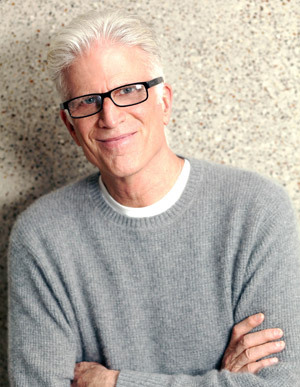 In 2001, Danson helped found Oceana, a global marine conservation group. Danson’s new book, also titled Oceana (Rodale) and co-written with Michael D’Orso, is a beautifully-produced volume that paints a bleak picture: 90 percent of the “big fish” that existed in the 1950s are gone, and if current practices aren’t changed, the remaining 30,000 species could disappear within the next half century. We caught up with Danson and asked him what got him hooked on saving the oceans. “I grew up in Arizona, my father was an archaeologist and anthropologist, and we were surrounded by science and by a sense that life isn’t just about you — there’s a lot that had come before, and there’s a lot, hopefully, that will come after you. Your job is to be a good steward of what you’ve been given and pass it on. Then, flash forward to 1984, Cheers was a big hit, and I had a sense of, ‘How do I be responsible about this?’ I was taking a walk with my two daughters, Kate and Alexis, on the beach in Santa Monica. They were about 8 and 4, and we came across a sign that said, ‘No swimming. Beach closed.’ The water was polluted. When you look out at this glorious, gorgeous ocean, and you’re told not to get into it — I think that started a process in me.